This year's main focus of the Setra brand's trade show display at Retro Classics (March 13-16, 2014) is on a very special vehicle model, the Setra S 8. In addition, it is also presenting a conventional Mercedes-Benz O 3500 coach with Kassbohrer body. on display was the first touring coach with a unibody design built in German series production. The coach from the first model series ushered in a new era for the astonished bus world in the 1950s with high-quality comfort features for the time and a host of clever technical refinements, such as a rear-mounted engine and outstanding smooth running. The Setra S 8 with chassis number 50 001 was built in 1951 and sold to the Rosenheim-based bus and coach operator 'Kroiss'. Some 14 years later it returned to Ulm in good condition and has formed part of the Setra vintage vehicle collection ever since. The second Setra 8 on display at Retro Classics also comes from this collection. The vintage 1954 vehicle was in the service of the bus and coach operator 'Cebu' in Hanover for many years and was restored in the 1980s. Today the vintage coach is frequently used for events. The third vehicle in this group is on loan from Bavarian bus and coach operator 'Berr' based in Rosenheim. The Setra S 8 from 1953 is called 'Der Walser' and is equipped with 35 red leather seats. A total of 468 vehicles of the Setra S 8 model were built until 1958. 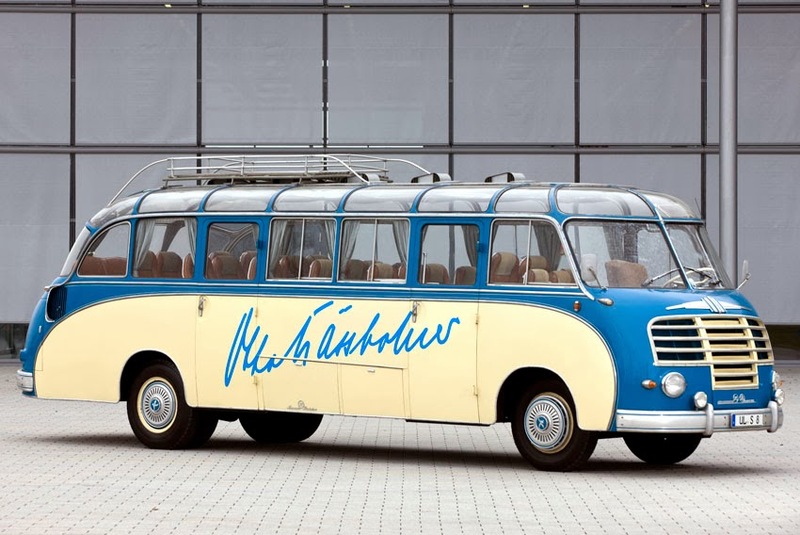 In addition, Setra is also presenting a conventional Mercedes-Benz O 3500 coach with Kassbohrer body and sliding steel sunroof from the year 1951. This vehicle model is said to have persuaded Otto Kassbohrer to develop the unibody coach to production maturity. The intention of the engineer from Ulm was to gain independence from chassis suppliers. As such 1951 marked the year in which Setra buses and coaches were officially born. Their triumphal march around the globe continues unabated today.